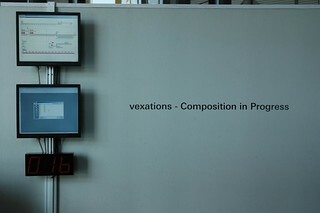 Vexations - composition in progress is sound installation which realize integrated aesthetics of composing, playing, recording by computer media. 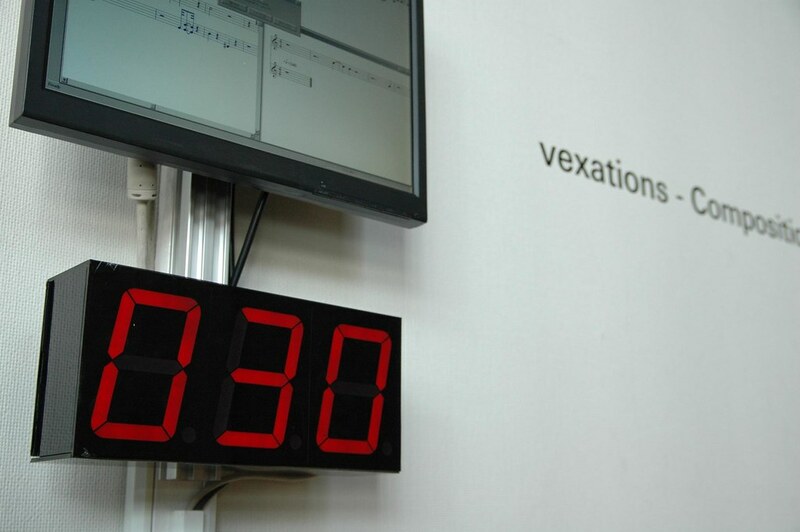 It is said that vexations composed by Eric Satie is one of the longest music in the world with mysterious description to hint 840 repitition on just 1 sheet of music. 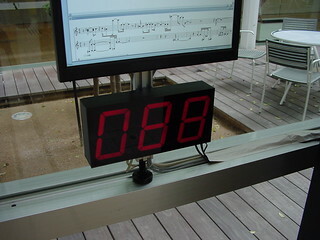 At 60'. Cage and the musicians played by shift of themselves. 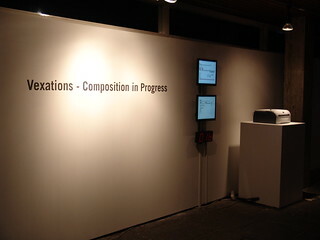 now we interpret this vexation with perspective of contemporary computer media and also his unique concept furniture music. 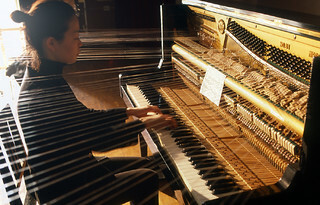 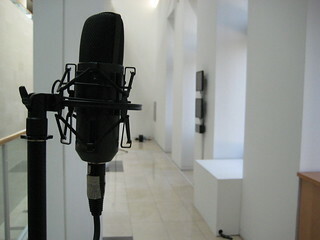 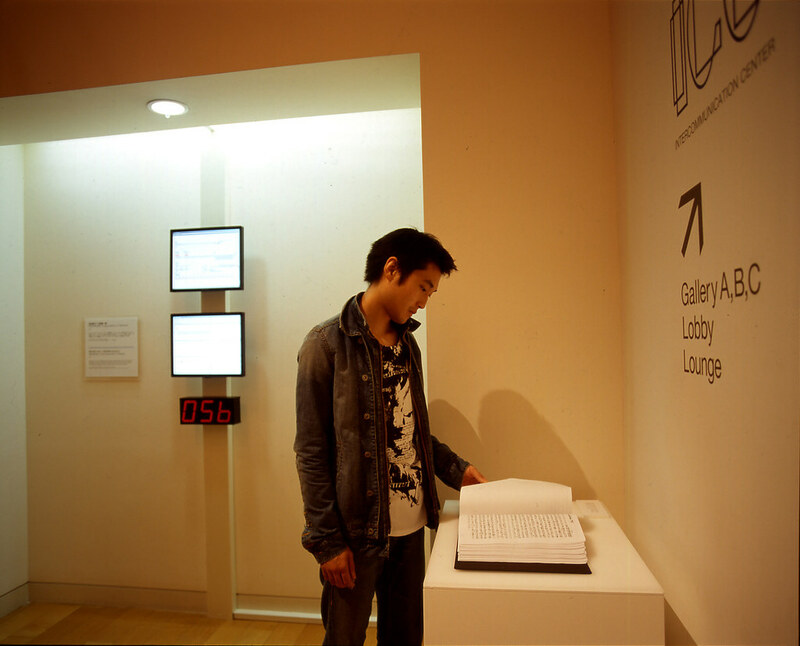 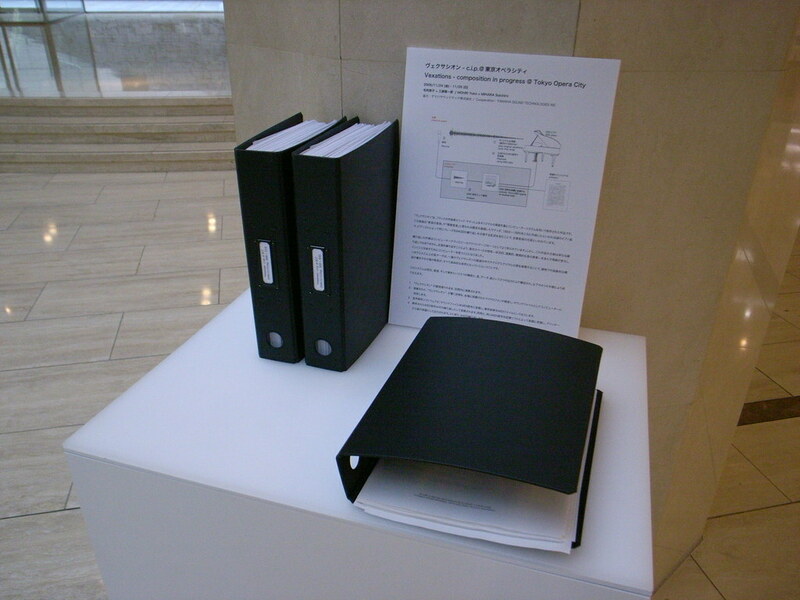 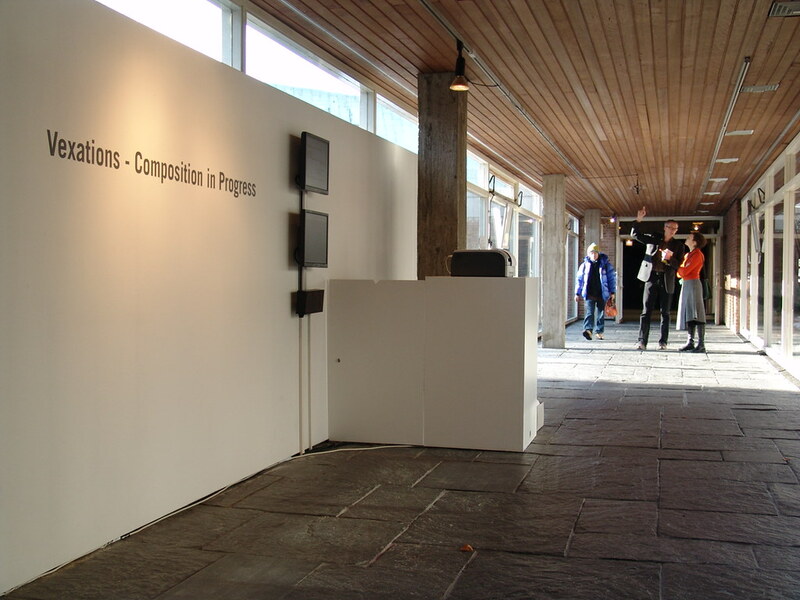 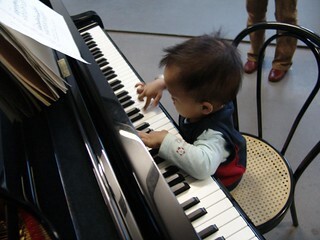 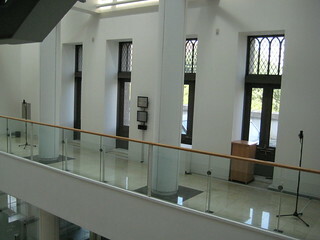 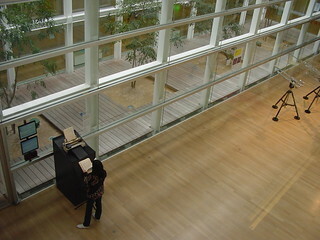 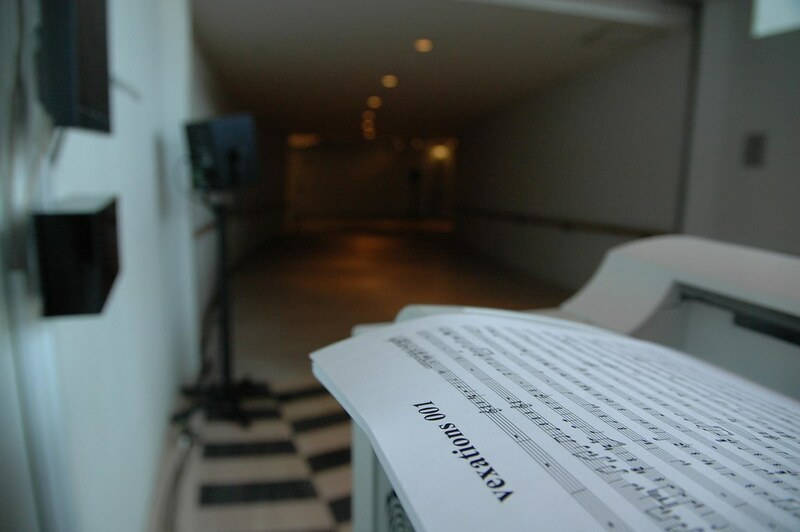 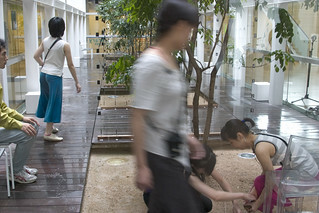 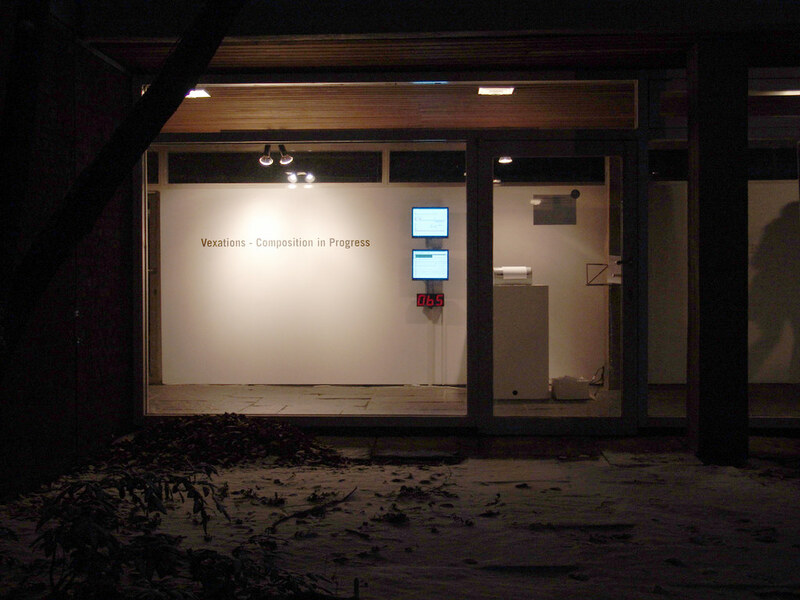 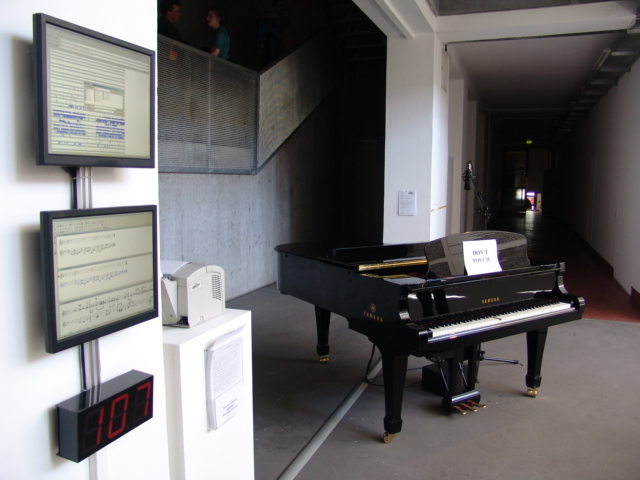 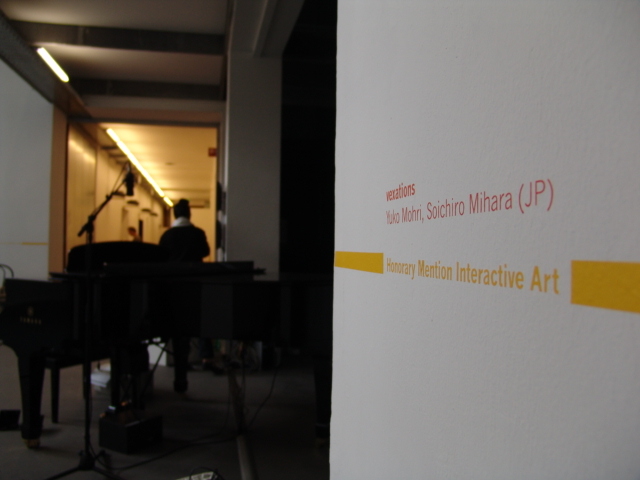 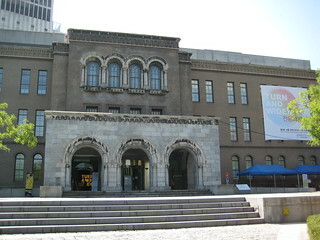 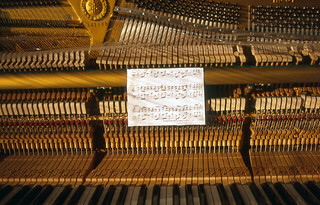 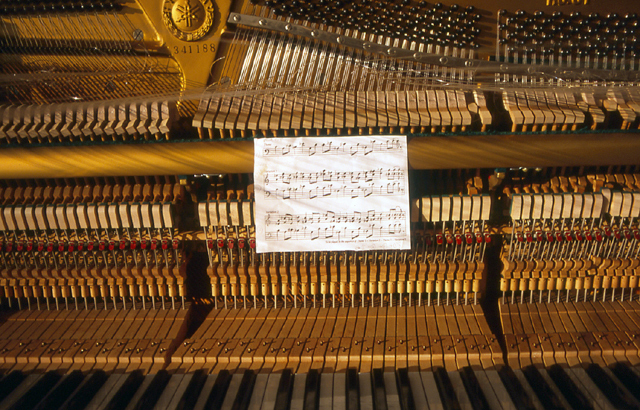 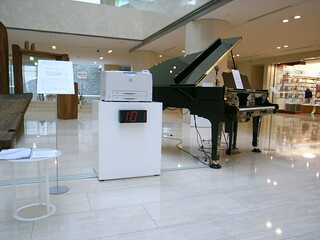 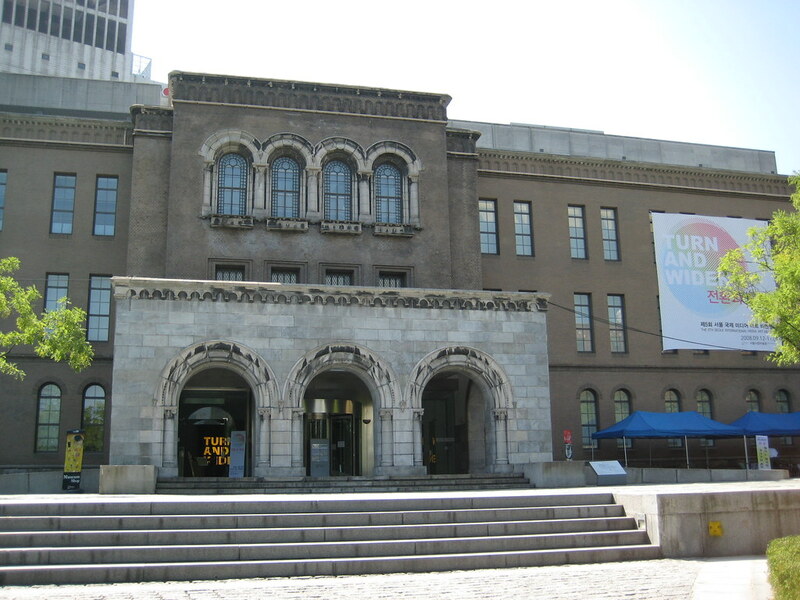 At exhibition, pre-recorded 1 repetition by real pianist playback in the space, and same time it is recorded, recorded data consist of musical note of vexations and also environmental noise at that time.recorded wave form data is analyzed by special software, and detect if there are similar sound with character of piano sound. if so, then software makes detection as musical note data as midi data. 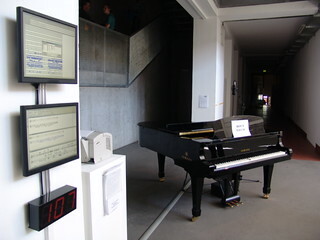 and generated midi data is used for next repetition. 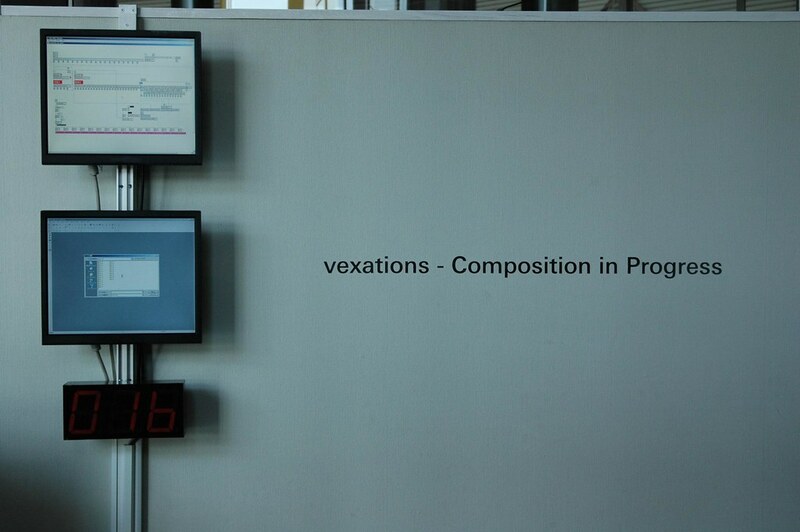 and function repeat 840 times. 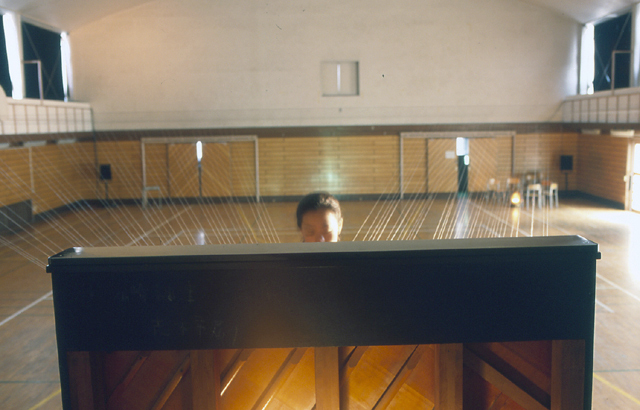 this process always affected by the space and all sound environment of playing time, as if time and space playing vexations like furniture music.